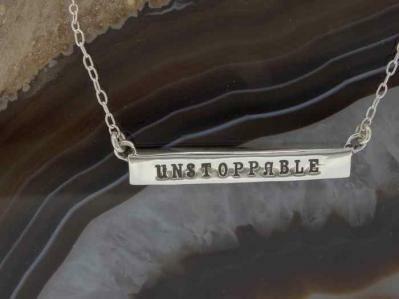 "Empowered, ""Unstoppable"" Silver Bar Necklace"
You are a strong. You are smart. You are empowered. 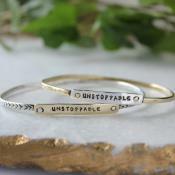 The Unstoppable bar necklace is a great reminder for any woman/girl that she is unstoppable when she fights for what she deserves. 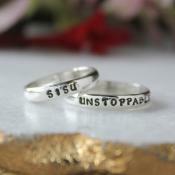 Our stamped Unstoppable bar necklace is a simple statement of a dogged determination. Silver stamped bar is approx. 1" x 1/4". We only use sterling silver, 14K gold, gold filled and 14K gold vermeil in our products.